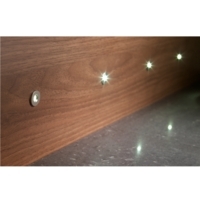 This round spot style of plinth lighting is very small and discreet, which can work well in a variety of areas throughout the home. 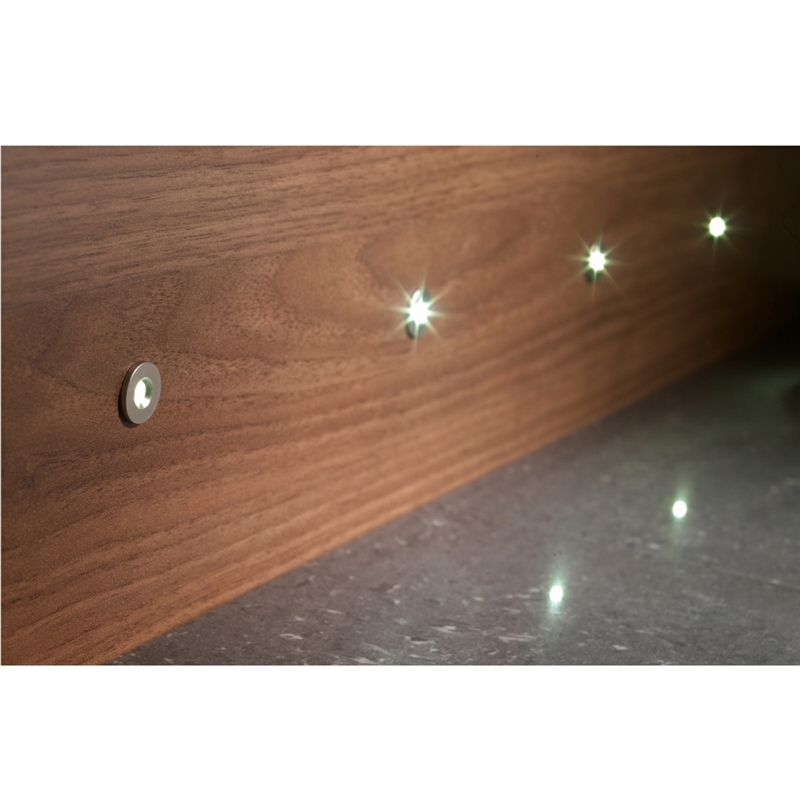 They are available in a kit of 4 or 10 lights, so you can place them all around the room, or just in certain areas for a subtle look. You can add more lights, but you should be aware that a maximum of 10 lights should be used per converter for safety reasons. Would it be possible to only power 2 of the lights in the 4 light kit? Yes that would not be a problem. What do you recommend as the spacing between each light? Do you have any kits with larger lights, a bigger circumference than 15mm? I need just 6 lights. Can I just buy a 4 light set and add 2 extra lights to it? How much for a 6 light set? Are these !ights be dimmable? 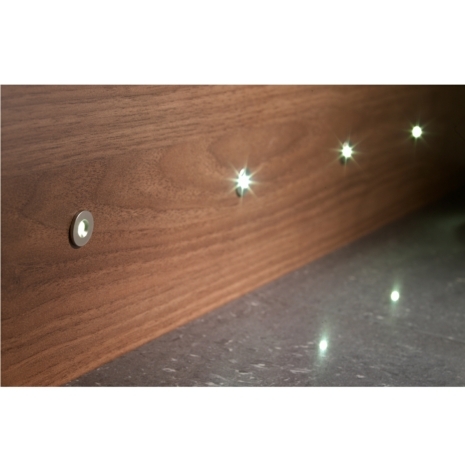 Can these lights be put in a bath panel? Yes these lights can be placed in a bath panel. I am wanting to get two 4 packs of these, but want to put them on separate sides of a room. Is there a way to get these to come on with the same sensor? Yes you could use our 4 zone remote control that would let you bring both packs on at the same time. Ideally I would want to connect these plinth lights to the lighting circuit and operate from a normal light switch rather than switch on/off at plug. Is this possible? Does the set come with a plug or does the driver connect straight to the mains supply ? Please can you tell me how many lights are in this kit? There are 4 lights in each 4 light kit. We also do a 10 light kit with 10 lights in it.